If you can read one more article about Yulin dog meat festival - please make it this one. In recent years the festival has shrunk from an estimated slaughtered 10,000 dogs to around a thousand. Pressure continues to keep reducing this number, but even one slaughtered dog is too many. For all the extra pressure this year, it’s debatable how many lives were saved. If more pressure isn’t saving more lives then between us - the animal lovers, the rescuers, the animal charities - we’re not getting it right. 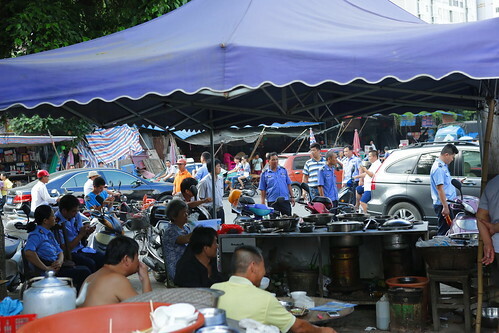 Even local authorities say there is little more they can do because this isn’t an “official festival” - it’s a meetup of people who like to eat dog. We need to end dog meat eating so people won’t, or can’t, eat dog any more. For that the pressure needs to be year round. If international charities and the media are only paying attention for two weeks out of 52, it won’t change anything long term. Sometimes we in the animal loving community can over-debate, while issues are crying out for focus. These animals are snatched from distraught families or from the street, often drugged or poisoned in the process, then driven hundreds of miles in tiny overcrowded cages alongside other diseased and dying dogs. They are then inexpertly and painfully slaughtered and eaten - not to satisfy hunger but for celebratary or superstitious reasons. This happens to 10 million dogs in China every year. It is beyond horrific. To end this we need help. Help from everyone. If the trade was regulated and dogs were killed “humanely” it’d be okay. Cruelty and crime are not culture. To maintain that is even more culturally insensitive than simply recognising right from wrong. We believe that everyone should move towards a cruelty free lifestyle. If you achieve that then you have our absolute admiration and we love you for it. But veganism is not a destination where you arrive and are absolved of all responsibilities to animals beyond the ones you might otherwise have eaten. Sadly, in the short term, we are not going to persuade dog meat traders or sellers to be vegan. “Just go vegan” is great advice and a worthy messageboard argument but it is not going to solve this particular issue. We need all those who love and respect animals with us. Regulating the trade will not see dogs no longer stolen – but simply absorbed and excused by a legitimised trade. The killing will continue – behind closed doors – where cruelty and violent deaths will still be unmonitored day after day. 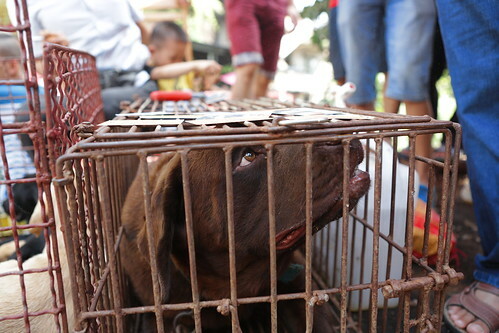 Regulating the trade would undermine the efforts of all those in other Asian countries who have successfully lobbied for dog eating to be illegal, and undermine the work of local groups in China. Despite numerous stories of rescuers buying dogs from traders - if newspaper reports are to be believed - poor business this year was down to a lack of dog meat eaters, not a lack of dogs to sell. Sadly there are always more dogs that can be snatched and stolen. 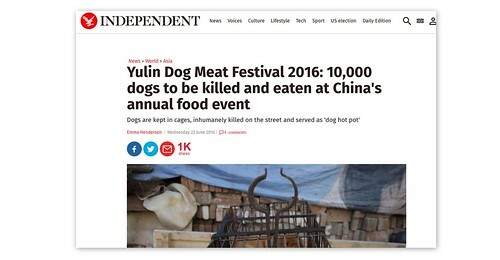 In which case, to end the festival - and end all dog meat eating - we need dog meat eaters to lose their taste for dog. This is already happening as people start to see it as old-fashioned and cruel - thanks to awareness raising from local NGOs and media. 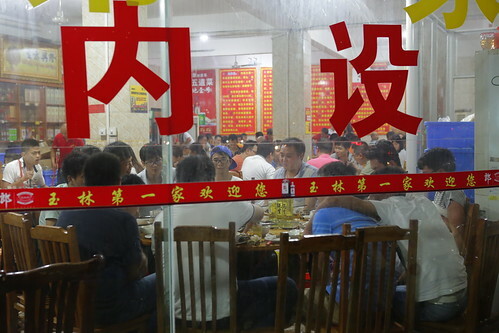 People are also worried about the many health issues associated with dog meat eating having, been made aware of the poisons used to kill them and the many diseases they carry. We need to keep shouting about that. The truth is people will stop eating dogs before they run out of dogs to eat. From clamping down on dog theft, to checking papers, to enforcing quarantine, to monitoring hygiene - the authorities can, and have in the past, made life difficult for the dog meat industry. This has previously led to dog rescues where trucks have given up their cargo rather than face the consequences of explaining their illegal load. Chinese dog rescuers know the law and know how to use it. If pressures continues from all quarters against dog meat eating, and if it continues to become less popular and more stigmatised, then the government arguably already has all the legal tools it needs to end it. If they feel the time is right. Certainly there were enough police at the festival this year. Their focus was on keeping the peace but that could yet change. 5. Start any debate with your facts wrong and you risk losing - even if you’re on the right side. Pressure groups, NGOs and media repeatedly quoted the figure of 10,000 slaughtered dogs in Yulin last year. Following last year it was widely agreed to be nearer 1,000. You can’t push 10,000 before the festival to raise support and then say 1,000 afterwards to claim progress - as tempting as that might be. The myths that surround Yulin are many. Couple that with few news reporters on the ground and the information is often coming from “experts” overseas. No one should try to win a moral debate based on falsehoods, in doing so you risk undermining your own arguments. Here’s our backgrounder of what we know to be true. You’d have been hard pushed to find any international coverage of Yulin that quoted a single Chinese NGO in the past week. People who work week-in, week-out - the people who, if you’ll excuse us, shovel the s**t of the dogs that are rescued year round, where was their voice? 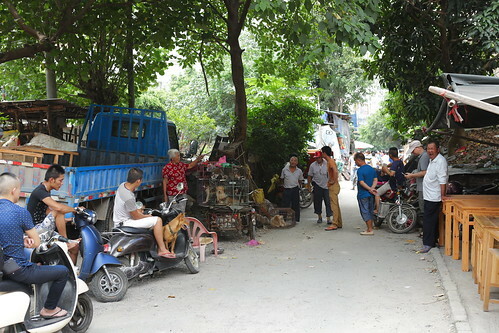 A total of 81 Chinese NGOs asked for rescuers (up from an initial 35) - local and international - to stop buying dogs from traders as it was only creating more profits for the dog meat industry and more animals would suffer in the long run. Slaughterhouses were not closed down - just emptied of dogs – and are likely already filling up again. The request from the Chinese NGOs reverberated around Facebook and Twitter but it didn’t make the mainstream media. Why not? Animals Asia has rescued almost 600 bears and does so because we run sanctuaries in China and Vietnam. We’ve also given advice in enough dog rescues to know that the work only starts with taking possession of the dogs. Then comes the commitment and the cost. We make a lifelong promise to our bears and that’s what many dog sanctuaries do in China. If they can’t find them a home, they’ll continue to care for them and somehow find the money to do so. Caring for bears can be a frightening financial responsibility for us. 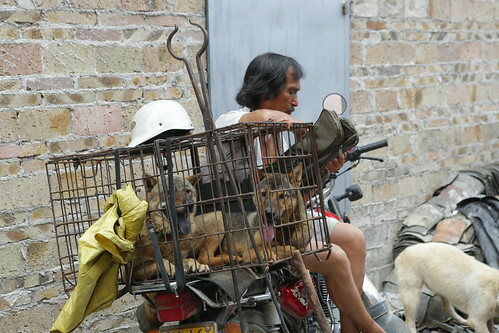 Just as caring for dogs is for many Chinese shelters and NGOs. Sadly year-after-year in Yulin, dogs rescued in large numbers become impossible to track in the weeks afterwards. Many die on long truck rides in the hope of finding their sanctuary. Tragically many dogs simply disappear once public attention moves on. If you are going to rescue dogs, you better have a plan, a home or shelter for them, vet and management care and ongoing funding. The consensus seems to suggest that Yulin 2016 was slightly smaller than 2015 when it was widely agreed - at the time - that 1,000 dogs died. No one counted, it was just a number people felt comfortable with. Likewise the 10 million dogs eaten across China is based on educated guesses from experts but cannot be verified. This is a disgusting, shambolic industry. One that will cut every corner to maximise profits. One that would rather be cruel than lose money. One that is unregulated and still largely unmapped. It exists and flourishes in the shadows. It couldn’t survive scrutiny. Regulation would be pointless because it would simply use its ill-gotten gains to buy favours and continue to hide. Likewise dogs will always be snatched while that’s cheaper and easier than farming. We’ve been shining a spotlight on this industry for years now and what we’re uncovering is making it feel uncomfortable and it’s encouraging ordinary people to join the fight to end it. Dog meat eating used to be defended as “traditional”, now no one believes it is anything other than cruel and criminal. See the giant metal pinchers this man has. In towns across Asia if you see these then you immediately check where your dog is. These brutal, cruel instruments take dogs and force them at arm's length into tiny cages. We continue this fight for the dogs and for the families who love and lose them. It’s not just animals that are getting a raw deal - animals lovers are too. Our colleagues who headed to Yulin to monitor the festival had to pay a premium on their hotel room. The hotels were full of media and NGO workers and activists. The dog traders signs showed temporarily higher prices. Further inflated prices were quoted to those who wanted to rescue dogs by buying them. Sadly despite some traders reporting “bad business” there’s still money to be made. So long as Yulin is big business it will continue. As Chinese NGOs suggested this week - if you want to rescue dogs by buying them from meat traders - buy them anywhere but Yulin. You will rescue more dogs for the same money. You won’t further inflate Yulin’s dog meat bubble and you won’t ensure that the same trader will be back there next year with a nice fat profit, and more snatched dogs to sell. Better still - provide a “forever home” for a dog in a Chinese dog shelter. Charities need to be smarter about this. 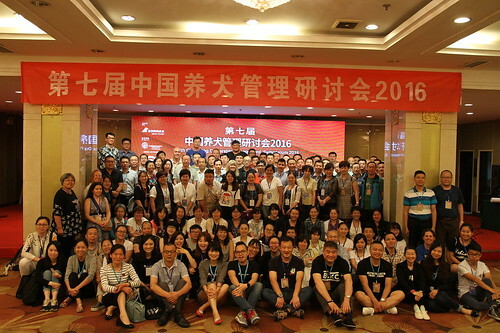 Resources and donated money needs to be directed away from Yulin and short term wins. And, if you want to help, then donors also need to be more open to donating to long-term programmes to end this cruelty once and for all. Such programmes have been running in China for years – helping the authorities in multiple cities to make sweeping and effective change in dog ownership and management. While dog eating may not end overnight it is now being openly discussed - and only as part of an internal agenda will it finally end once and for all.